For TWO days, September 14 & 15 (48 hours) you can get INESCAPABLE: The Beginning FREE in the Kindle Store. This awesome read, which is only the beginning of Darcey’s and Brad’s adventure, will have you on the edge of your seat from page one. It is fast-paced, action-packed, suspenseful, romantic and witty. The reader will be transported into Darcey’s nightmare as she is kidnapped by human traffickers and then sold. The reader will journey with her as she struggles to regain her memory, and Brad’s desperate search for her. After reading The Beginning, you will definitely want to get book two – Remembering (only 99 cents) and follow Darcey and Brad as he helps her regain her memory and completes the underwater Bio Dome that may help save humanity from an impending disaster. The adventure continues in Tomorrow, book three in the series. It is filled with murder, intrigue and suspense as Darcey and Brad begin their life together. Old questions are answered and new dangers arise as Brad tackles his new off-world job for the ORCA Corp. Will Darcey survive the threat of the mysterious man who wants her dead? Will Brad get the Bio Domes completed on the Moon and Mars in time to save humanity? Get your FREE copy and start the adventure! Yes, it is just 10 days before the InD’Scribe Convention. It can’t get here soon enough. But, wait it’s coming too soon! I’m not ready! Well…mostly not ready. I have gotten my sparkly duds for the RONE Awards banquet, comfy shoes for dancing (Opps! I forgot I have two left feet), and all of the necessities, but still haven’t decided what to wear to travel in. I’ve tried on several different outfits and combinations of those outfits, and still not sure. I don’t want something that will be too hot or something that won’t be warm enough. Decisions, decisions, decisions! However, there is something that didn’t require any thinking at all. As a “Thank You” to my many fans and friends, I am putting both INESCAPABLE: The Beginning and INESCAPABLE: Remembering on SALE for 99¢ each in the Kindle Store until September 20. Keep checking back, there may be something special happening with book 3 INESCAPABLE: Tomorrow during the convention. Well, the verdict is in. On another note: I will be attending the In’DScribe Author Reader Con in Palm Springs, California, September 17 -20. Several of my fellow authors who are attending also have their books on SALE. Here are a few…. A mistake. A blessing. A tragedy. And now, Mandi Evans has made it her goal to fade into anonymity. Once a straight-A student with her choice of colleges, she’s withdrawn into a life that consists of two jobs, an online class, and memories. 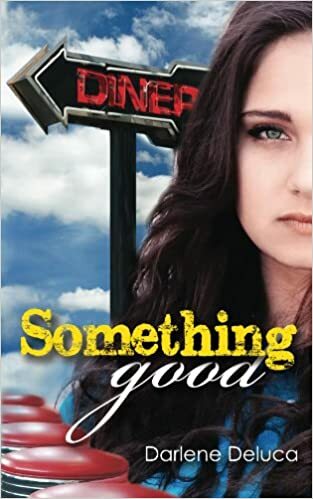 Crippled by the past, she feels unworthy of a better life – until Lane Whitmore walks into the diner where she works six nights a week. As the go-to wedding planner, Suzy can’t find her own wedded bliss and has one shocker of a wedding day. It doesn’t help that she’s still pining for her high school sweetheart, the one who got away. Handling neurotic brides is the best part of Suzy’s day until her son brings home a bombshell from Europe.